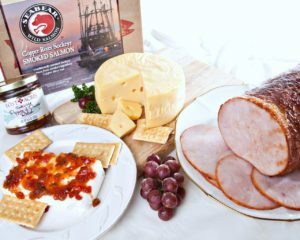 From the pristine waters of the Copper River in Alaska, this handcrafted delicacy is carefully filleted by hand and made 100% bone-free. A special brine recipe and patient smoking over rich aromatic alder wood combine to create a taste that will not soon be forgotten. After meticulous hand trimming each smoked salmon fillet is sealed in elegant gold foil pouch and gift packaged just for you. Serves 12 to 16 as a gourmet appetizer. 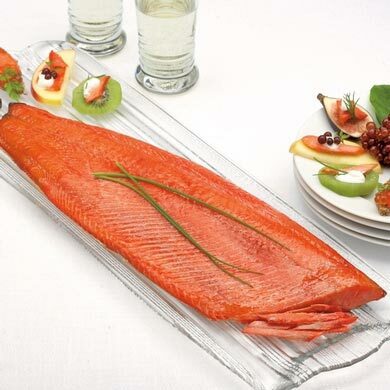 Our gourmet Alaskan Smoked Salmon should not be heated. It is rich in flavor and is usually served as an appetizer.